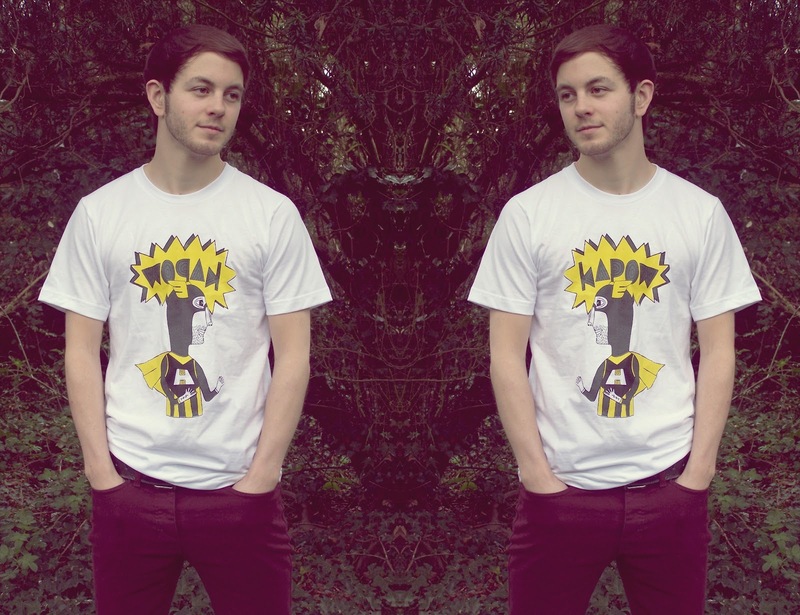 Mens tee: Hero & Cape. Jeans: Topman. Ladies tee : Hero & Cape. Leggings: Primark. Fear not, I haven't turned into a man, nor have you stumbled upon a different blog. This is merely Littlebum, posing for once, showing off his new tee. And he secretly bloody loved it. Because I'm obviously such a nice girlfriend, I bought him a new tee. Actually this isn't because I'm nice. I just wasn't allowed to buy something for myself, so instead I treated him. If it meant I got to buy something, then I was happy. Plus I'll wear it on my Idontwannagetdressed,i'llstayatramp days. Winner all round. Considering littlebum doesn't like funky tee's (he's a bit of a fussy one), I was very surprised when he chose this from Hero & Cape And he hasn't taken it off since. I reckon it's cause he thinks he's secretly a superhero in it. And being the gay couple that we are, I decided to wear mine too. So there we were tottering about the furniture shops in semi-matching tee's. As you do right. I know if I'd have seen a couple like us, I'd have been slating them for looking so pathetic. But yes, that was us. Apr 8 Can I share this dance with you?